If you want to add new carpeting & rugs to your Alliston, ON home, make sure you come and visit our showroom. 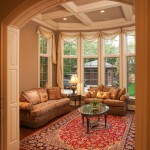 The right carpeting & rugs can make your home more comfortable while enhancing its aesthetics. If you’re trying to find a great selection of carpeting & rugs to pick from in the Alliston, ON area, look no further than to us at Giant Carpet Flooring Centre. We pride ourselves on our extensive selection of flooring options and are confident that we’ll have the perfect option for your home. Although many of our clients come in to see what carpeting options we have available, we don’t want you to forget that we also carry stunning area rugs. Adding a few area rugs throughout your home can give it a whole new look while also making things more comfortable, especially in the winter when your wood or tile floors might get cold. As you start to browse our expansive selection of carpeting & rugs, we realize that you might start to feel a little overwhelmed by all of our options. This is why we keep team members on our staff who are ready and waiting to answer your questions and ultimately help you make a selection. They are highly familiar with the options we keep in our collection and are a great resource to use as you shop. The next time you want to spruce up the inside of your home with new carpet or a few new rugs, stop by and see us at Giant Carpet Flooring Centre. We have been meeting the flooring needs of Canadians for over 30 years and can’t wait to exceed your expectations. At Giant Carpet Flooring Centre, we offer high-quality carpeting & rugs to residents of Alliston, Barrie, Angus, Newmarket, Cookstown, Innisfil, Bradford, Midland, Wasaga Beach, Collingwood, Muskoka, Gravenhurst, Bracebridge, Orillia, Thornton, Everett, and all of Simcoe County, Ontario.